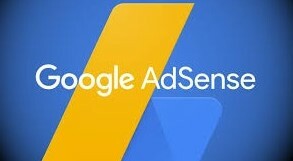 I am back again with my new post, i.e., Applying for Google AdSense! Things to keep in mind while applying for AdSense. My story of getting approved for Google AdSense. 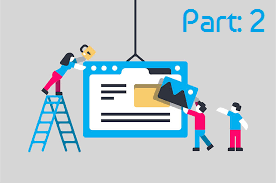 Google AdSense is the first choice of the people who wish to make a bit money from their website or blog as whey they here Google AdSense, they immediately respond as google has a very good impression on todays people. And there's something more yet, It is the highest paying ads network in the WORLD!!! Yes! The CPC(Cost Per Click) varies but is never less than $0.01 The highest Ad Cost per click revenue(CPC) earned by me was $0.64!!!!! It was amazing. I made $1.28 just by getting two ad clicks!! 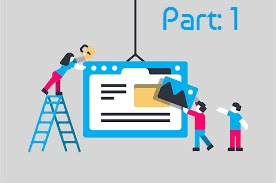 Applying for Google AdSense is a very simple process. Just go to the Google AdSense official website and just press the sign up button(which is in green color) and then follow their instructions. They will ask your website domain name, your E-mail address, and If you wish to subscribe to their Newsletter or helpful information, you can do it know. After doing everything, place the code between the <head> and </head> HTML tags. They will review your appication and website. If they like it and they see that you have done everything correctly, they will approve your account. Note: You must be 18 or 18+ of age to be eligible for Google AdSense. It use my mother's account for Google AdSense as I am only 13 years old.You can give only the domain name which you own. If you give a wrong name then they will come to know as they give a code to be placed between the <head> and </head> HTML tags. And your domain should neither be a subdomain(For Example: subdomain.domain.com and website.webpagebuilder.com or anything like that.) nor a web page (For Example: yourwebsite.com/awebpage or yourwebsite.com/a_web_page or anything like that.) The main problem starts there. There were the restrictions. One of the biggest problem with Google AdSense is that they had changed their policies recently and have become very strict regarding application reviews. Even I got approved to AdSense in my 15th attempt! This is not the restriction, you can apply for it anytime, anywhere. There are no limitations of applies. You can apply as many as times until you get approved. It was just 6 months ago when I suddenly asked my father that can I make a website. He replied in affirmation. Then I asked that can i buy a new domain because to make a website, a domain is needed. I was not knowing much about domains and hostings and free websites. I just read a post on a website that to make a website a domaina and web hosting is required. My dad bought me a new domain for ₹465.14. And after 10-15 days, I bought a web hosting from GlobeHost.Com. It's price was cheap and reasonable(just ₹20/month). Then I built my website howtousehtml.org. Then I thought what is this? I have no profit from my website. Then why I made this useless website. Just to spread knowledge. I was in complete loss. I started looking for some companies on the web which let us make some money online with websites. Then I came across Google AdSense. Its look was so cool. I was so impressed by it, I decided to apply for it the same day. I filled the application form. I also placed the code correctly. But they disapproved my account. Each and every time I applied for AdSense, they disapproved my account and each time they did this, I edited my website a little and then again applied for it. It was my 14th attempt that again I was disapproved by them. Then, I thought that my website is becoming useless. Visitors were hardly coming there. Then I thought to sell my domain and I kept it for sale on Godaddy for $50(about ₹3300 as it depends on USD INDIAN rates). I also added this on my website in a shaking <div> element. I committed that I will never lose and try again if my Google AdSense account was disapproved. So, I didn't have up and tried for the last chance. I was then very unhappy to again see the disapproval E-mail. Now even also I remember the time was 7:39p.m. and I had just seen Race 3 movie and just came out of the multiplex cinema. But back then I was surprised to see the approval E-mail of Google AdSense!!!!!!! I was much relieved then to see my first earnings (just $0.04 but it was a great thing for me!). Google AdSense has some special things which are not publicly known. You can buy the below given book to read about that things So how did you like this post, let me know about it in the comments section below. Happy Coding!